The United States came under sharp criticism from 14 other United Nations Security Council nations for its decision to recognise Israel’s sovereignty over the Golan Heights in violation of international law. 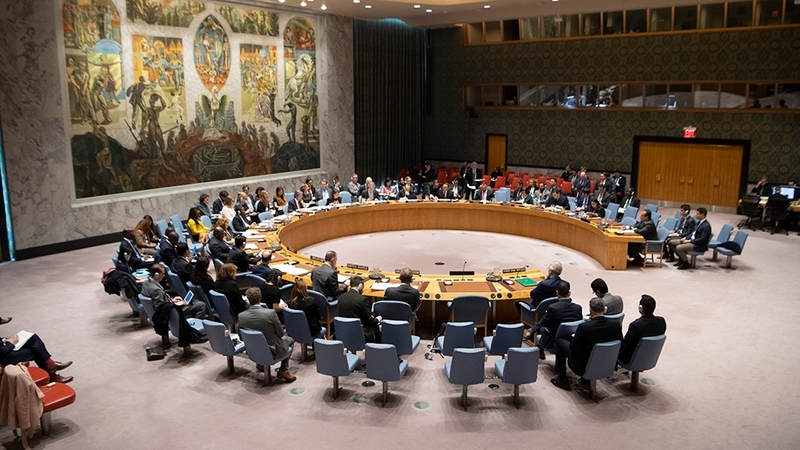 The Security Council met on Wednesday at the request of Syria, which in a letter to the council called the US move a “flagrant violation” of UN resolutions. 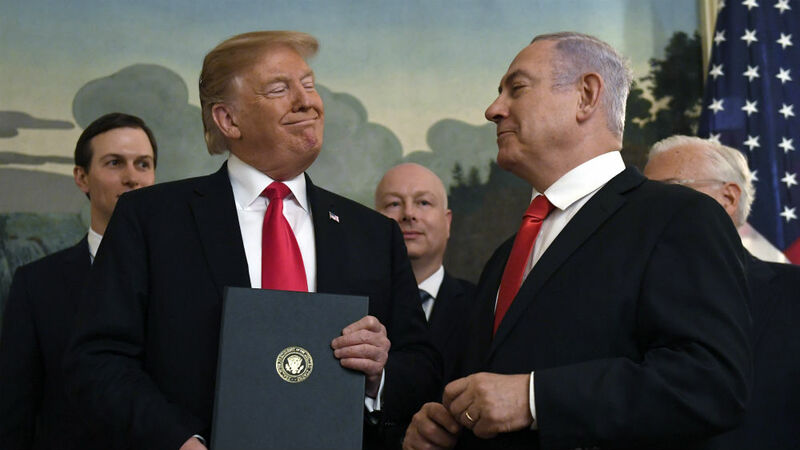 President Donald Trump signed a proclamation on Monday in which the US recognised Israel‘s annexation of the strategic plateau that it seized in 1967 and annexed in 1981. Speaker after speaker at the council session supported Syria’s sovereignty over the Golan Heights and opposed Israel’s annexation after Trump’s proclamation. “This unilateral action does nothing to assist in finding a long-term peaceful solution to the conflict in the Middle East,” South Africa’s UN Ambassador Jerry Matjila said. Syria’s closest ally, Russia, urged governments to continue to view the Golan Heights as Israeli-occupied territory. France warned any attempt to turn from international law was “doomed to fail”, as the US prepares to unveil its Middle East peace proposals. Three Security Council resolutions call on Israel to withdraw from the Golan Heights, which it seized from Syria in the 1967 Six-Day War and annexed – a move not recognised internationally. The US defended its decision, arguing the recognition bolstered Israel’s security and could contribute to the stability of the entire Middle East by keeping Syria and its Iranian ally in check. To allow the Golan to be controlled by Syria “would turn a blind eye to the threats emanating” from Damascus and from Iran and its Hezbollah allies, which want to use the territory to attack Israel, said US diplomat Rodney Hunter. While Syria got support for its sovereignty over the Golan Heights, German Ambassador Christoph Heusgen and Britain’s Ambassador Karen Pierce also used the meeting to criticise President Bashar al-Assad’s government for bombing civilians, using chemical weapons and violating human rights violations during the ongoing eight-year civil war. Trump’s proclamation that the Golan Heights was part of Israel, raised questions about the future of a UN peacekeeping force after its mandate expires on June 30. Hunter told the council the UN force has “a vital role to play in preserving stability between Israel and Syria” – an assurance the Trump administration’s recognition of Israeli sovereignty over the strategic plateau won’t affect its operation. He also criticised “the daily presence of the Syrian armed forces” in the area of separation, where UN troops are the only military force allowed, calling it a violation of the 1974 ceasefire. The US called on Russia to use its influence with President Assad “to compel the Syrian forces to uphold their commitment” to the ceasefire “and immediately withdraw from the area of separation”, Hunter said. UN Undersecretary-General Rosemary DiCarlo expressed hope that “the recent developments will not be used as an excuse by anyone to pursue actions that could undermine the relative stability of the situation on Golan and beyond”.